The blooms are full and cabbagy and the color is an interesting silvery-rose. The bush needs pruning to keep it in bounds; give it plenty of space. It can get from 5' to 8' in every direction. 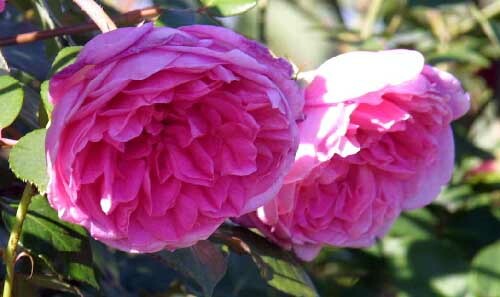 Its dark pink buds make it a beautiful cut flower. The cool tea fragrance is very evident in `Mrs. B. R. Cant'. Bred in Colchester, England in 1901 by Benjamin R. Cant.